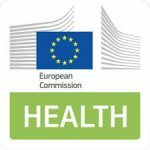 The European Commission has launched an online targeted public consultation on the draft guidelines on good clinical practice for Advanced Medicinal Products addressed particularly to small and medium-sized enterprises (SMEs), academia, hospitals and patient organisations. The comments are invited to be sent by 31 October 2018. Responses should preferably be sent to sante-pharmaceuticals-B5@ec.europa.eu.